Valley Personnel has decades of experience in placing qualified senior executives in key roles for companies in every sector. While we do specialize in the Fraser Valley, our team also has significant experience in placing candidates in companies and other organizations all across the country. Our owners, management and recruiters collectively have a broad range of experience in senior management, private and public companies, public board governance, human resources and accounting – so we are keenly aware of the specific needs and challenges of our clients. Members of our team have a very strong background in the legal sector and are able to utilize our significant experience and networks to place high quality candidates into junior, mid-level and senior legal positions, whether at law firms or in-house. When it comes to our executive recruiting process, we care about three things: Quality, Quality and Quality. We pride ourselves on an exacting process for both the client and the candidate. We start by listening in order to understand both parties, their needs, their motivations and their contexts. We are mindful of the significant expenses involved in the hiring process for our clients and we strive to fill each position only once. After an initial meeting with our clients, we structure a recruiting process that meets the specific needs and wishes of our clients, including: job posting and advertisements, sourcing, multiple candidate interviews and reference checks. When appropriate, we also conduct extensive psychometric testing of the top candidates, using one or more pre-employment assessment programs, including DiSC. 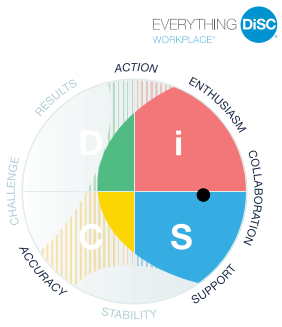 Click here to find out more about DiSC. These tests results provide added insight into the likely areas of success of a candidate, and highlights areas that may require training or coaching. We then present the top two or three candidates to the client, submitting a candidate profile that has concise notes and analysis on each recommended candidate.